Storage appliances on a server basis constitute an ever increasing share of the storage solutions sold. Compared to conventional external RAID systems they offer increased flexibility as regards configuration as well as more virtualization features including the failover-cluster consisting of two independent systems. 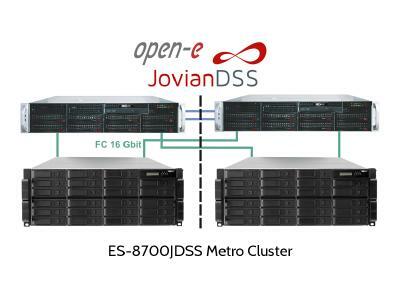 EUROstor offers such solutions on the basis of Supermicro servers and the Open-E DSS V6 software (ES-8700 series) or, alternatively, with a Microsoft Windows storage server (ES-2000 series). In these cases efficient processors and mainboards are the precondition for a quick provision of storage capacity. The new X9 series of Supermicro mainboards based upon the Sandy Bridge technology will replace the current X8 series. The new boards use one or two Intel Xeon E5 processors with up to 8 cores each and allow for an RAM population of up to 768 GB on 24 banks (12 per processor), four times as much as the previous version. A large memory is especially important whenever the data are to be deduplicated on the system, since in this case the data are to be compared in charts during the writing process. Alternatively, for small solutions, there is a reasonably priced option featuring an Intel Xeon E3 processor with 32 GB RAM. EUROstor uses the new boards in systems with up to 36 3.5" or 24 2.5" hard disks. 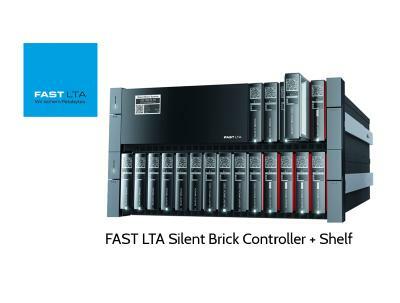 In combination with the new efficient ARECA 1882 hardware RAID controllers an especially high I/O throughput rate is achieved in the storage servers. "Storage solutions can never be better than the underlying hardware and the perfect interaction with the software used. With the Supermicro systems we always achieved very satisfactory results - and we are therefore glad that we have been able to qualify the new X9 series in our Open-E and Windows-based storage systems", says Franz Bochtler, managing director of EUROstor. "A perfect interaction of hardware and software as well as achieving an optimum performance is of utmost importance to our customers. That's what we stand up for with our solutions." 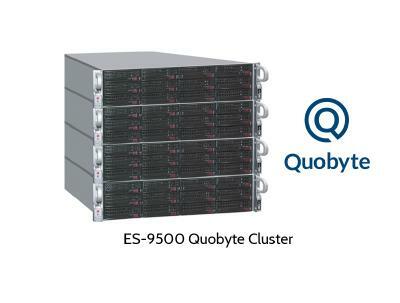 The total price for the ES-8700S system with Open-E DSS V6 and Intel E3 processor on the basis of Sandy Bridge technology, for example with 16 x 1 TB Nearline hard disks and four 1 Gbit iSCSI/NAS ports, amounts to € 6,057.10 including VAT (€ 5,090.00 without VAT). EUROstor is manufacturer of storage systems, located in Filderstadt near Stuttgart(Germany). Main products are EUROstor RAID systems sold to professional end users all over Europe.